Nothing hits the spot like a juicy, perfectly-topped, fresh-off-the-grill burger, so it’s a good thing Vancouver’s selection of this classic comfort food is absolutely out of this world. From high-end beef patties at Hawksworth to the glorious $2.89 Wakwak Burger from our favourite Granville Street food truck, whether it’s breakfast, classic cheese, or covered in bacon, Vancouver has every kind of burger you could dream of. 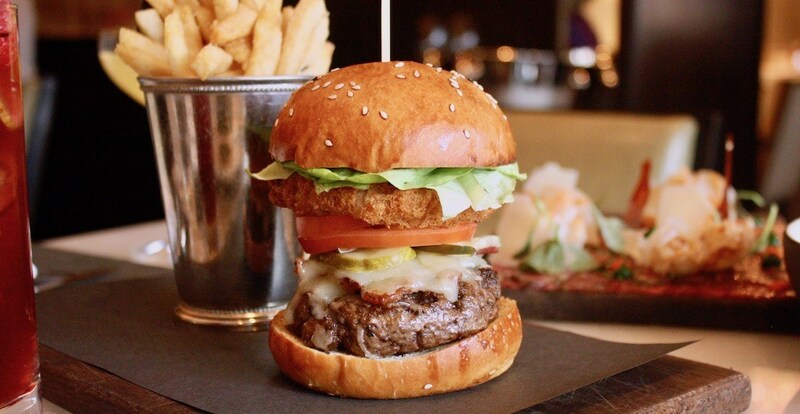 Here are some burgers you need to try in Vancouver. Tucked into the back of popular nighttime haunt The American is Monarch Burger. This purveyor has quickly become a Vancouver favourite when it comes to creating a classic, satisfying, and fresh burgers. Get one 45-day aged, fresh-ground beef patty along with special sauce, lettuce, tomato, and pickles sandwiched between a bun lightly-browned with butter for just around $10. New-ish to Kitsilano, Hundy operates as an after-hours burger bar in Their There from Thursday to Sunday evenings. Aside from awesome vibes and atmosphere, Hundy serves up a burger we could eat again and again. Beef, pickles, cheese, and Hundy sauce – what more do you need? The local Yaletown haunt may be best known for its Italian and Spanish-inspired eats, but it also happens to serve up a killer burger. Made with an 8oz blue goose organic beef patty, fresh challah bun, melted fontina cheese, truffle aioli, and Sirah caramelized onions, you can get this offering for lunch or dinner. Sit at Alibi Room for an hour and you’ll probably see a few of this beer mecca’s signature burgers pass by your table, after which you’ll be left wanting to order one for yourself. A mixture of all-natural beef burger with lettuce, tomato, smoked onions, and mayo, this dish comes complete with a side of pickles, fries, and slaw for $16. This newly-reopened old school burger joint is a favourite for folks across Vancouver. The Classic Burger is always made fresh-to-order, which means the buns, veg, and beef are all perfect and ready to be devoured as soon as they land in your burger-loving hands. We’d argue this is one of the best brunch burgers in Vancouver, and it’s easy to see why. Available during this Gastown haunt’s weekend brunch service, the Breakfast Burger is a layered delight which features a hashbrown patty, a fried egg, and a quarter pound patty. This weekly pop-up operates out of Downlow Chicken every Monday. While there are several kinds of burgers you can order, we recommend The Americana. This creation features a dry-aged beef patty, special sauce, lettuce, cheese, onions, and pickles on a Livia Sweets Bun. Head through the side door and up the stairs of Main Street’s Campagnolo and you’ll be in the perfect position to devour The Dirty Burger. This 40-day dry aged beef patty features a sunnyside up egg and secret sauce, and it’s definitely one of the most sought after burgers in the city. You can also order this morsel off of Campagnolo’s lunch menu during specific hours. If Beyonce was a burger, this would be it. 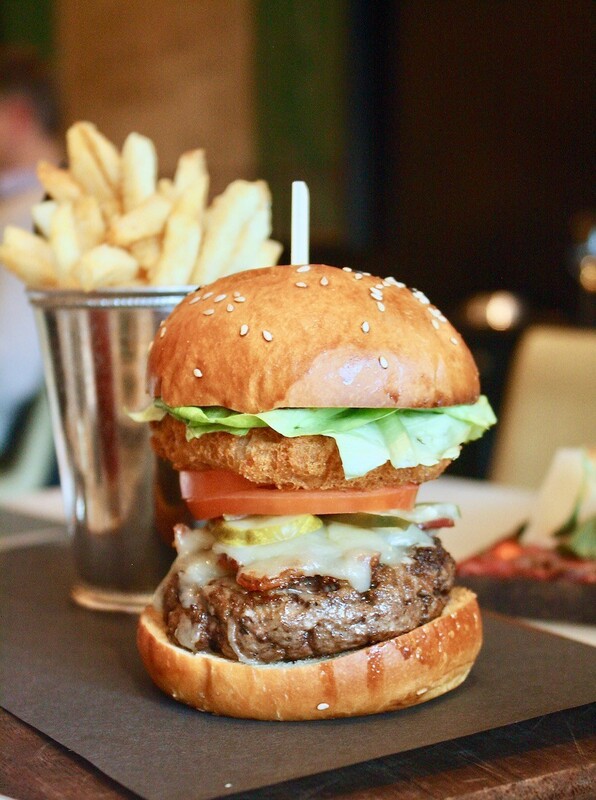 The Hawksworth Beef Burger is a combination of applewood smoked bacon, aged cheddar, and thick, crispy fries. For $23 it’s definitely not your everyday burger, but it’s worth the splurge. This dish is only available during lunch service. Head to Pourhouse Restaurant to get their signature Pourhouse Burger made from a combo of dry aged Cache Creek beef, aged cheddar, and pork belly. You can add a variety of toppings like foie gras, a fried egg, and even crispy chicken skin. Whatever your thoughts on Wakwak, you can’t deny that the $2.85 price tag for a burger from this food truck is anything less than extraordinary. It may be simple, but the patty is juicy, the lettuce is crispy, and the bun is soft. If that’s not a recipe for a solid street burger, we don’t know what is.